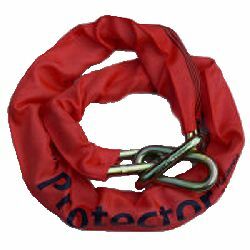 Our Protector 13mm High Security Chain has achieved the Sold Secure Motorcycle Gold Rating making it a popular carry out chain with the motorbike fraternity. 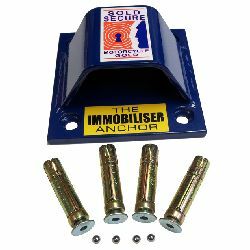 Having achieved Sold Secure Motorcycle Gold accreditation and Police Preferred specification, this rugged high security 13mm, hardened boron steel, long link chain, falls into the medium weight category. 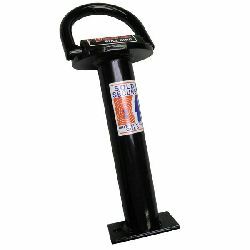 Weighing in at 2.9kg per metre, it is lighter than our larger 16 and 19mm chains, making it a great carry-out chain for motorcyclists, combining robust security with convenience when on the move. 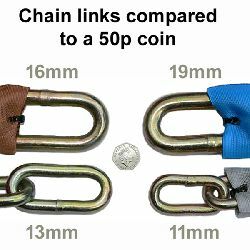 If using the chain with a ground anchor, it will pass through 52mm diameter round hole, or a rectangular aperture 52 x 35mm, making it compatible with a number of our Ground Anchors. 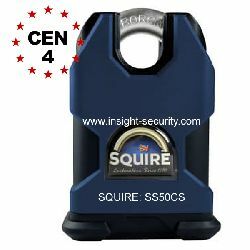 Because this chain is a high security unit, it is important to use it with a good quality padlock, like our Squire SS50CS, Federal FD730 or the DIB-D U-lock style lock.